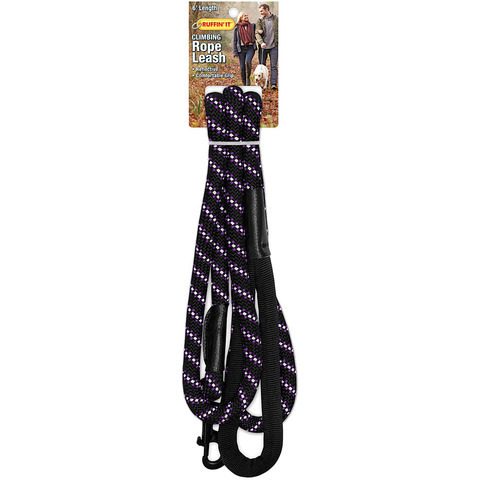 RUFFIN' IT Climbing Rope Leash is a performance leash made with the same stylish, rugged rope used in mountain climbing. Featuring a comfortable round grip and reflective Hi-Vis inlay for safety at night. Great with any style collar.